Mordian 7th Regiment: Heresy Era Dark Angels - A tidal wave of resin and plastic! 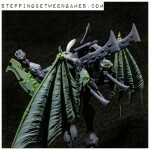 Heresy Era Dark Angels - A tidal wave of resin and plastic! 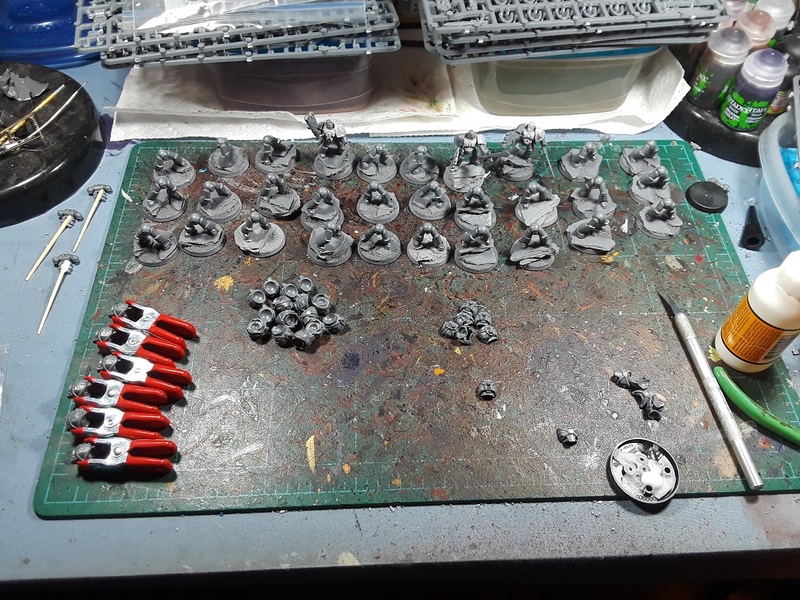 Earlier in the week the first wave of bits and kits for the Dark Angels arrived, and after a flurry of soaking, scrubbing, rinsing and drying I've been merrily building stuff for the force! All sorts of goodies await - Several tanks and a whole mess of infantry upgrade kits! Everything went into the wash and was laid out to dry, then it was all whisked up to the hobby loft where I couldn't wait to get cracking! 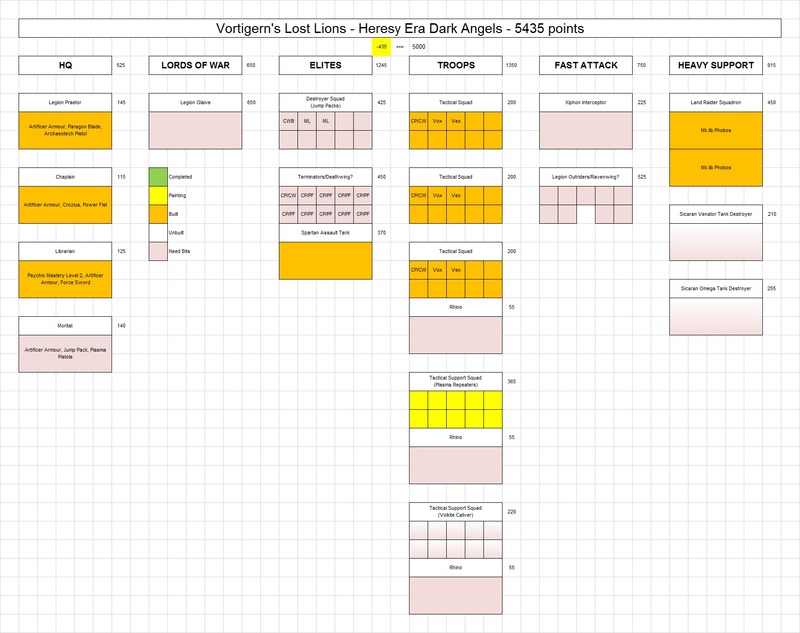 While it's tempting to jump in and build all the "cool stuff", I try to get the basic Troops choices out of the way up front, and save the more interesting models for later on once I've gotten my eye in on the builds. So, first things first - cranking out thirty Tac marines. Oof. Once I got rolling they went together very easily. I had spent a bunch of time clipping and organizing several sets worth of plastic bits from the Betrayal at Calth and Burning of Prospero boxes a while back and it's made it a snap to build infantry. The sergeants were pretty fun to build, going combi-plasma and Calibanite warblades as a change-up from the usual Powerfist-and-boltpistol loadout. May not be as effective, but feels more aesthetically pleasing! The re-cut model looked promising, I'll admit - Though there was some wonky bending to some of the pieces, my trusty heat gun sorted them out right quick. 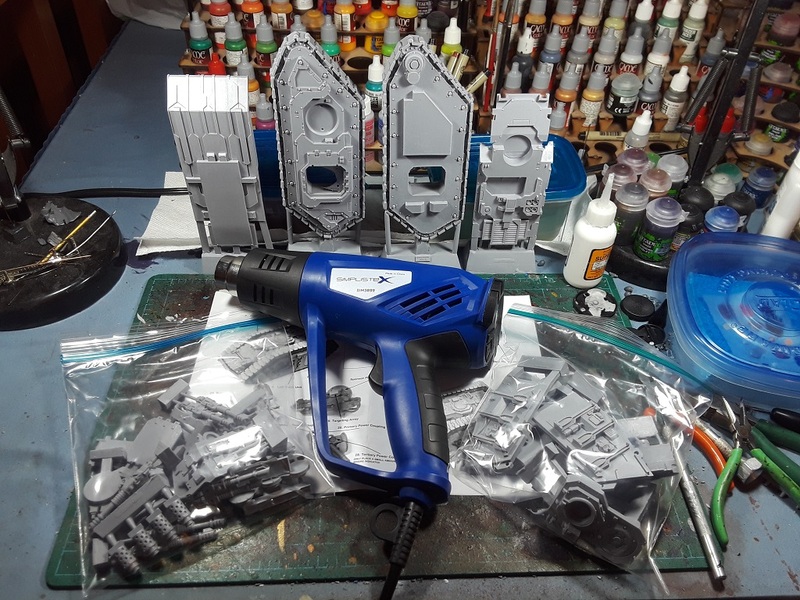 I'll tell ya, when it comes to working with resin, this heat gun was the best $30 I've spent on hobby tools. Highly recommended! Turns out my fears were unfounded, and the kit went together incredibly quickly! 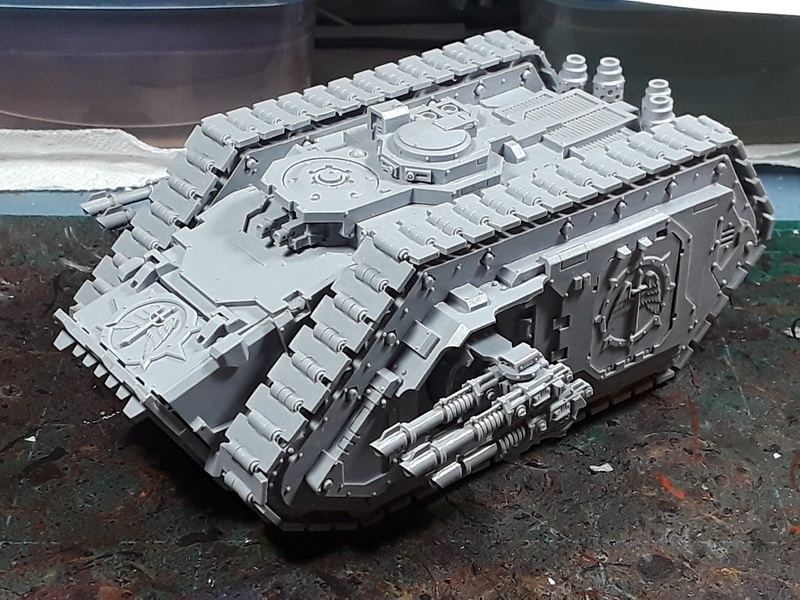 The addition of some Dark Angels doors and magnetized sponsons were the only real tweaks of the model - I'm not a huge fan of the "put masonry and candles on everything" aesthetic of the modern-day Dark Angel vehicles, and plan to keep the builds a bit more restrained on the Heresy side. 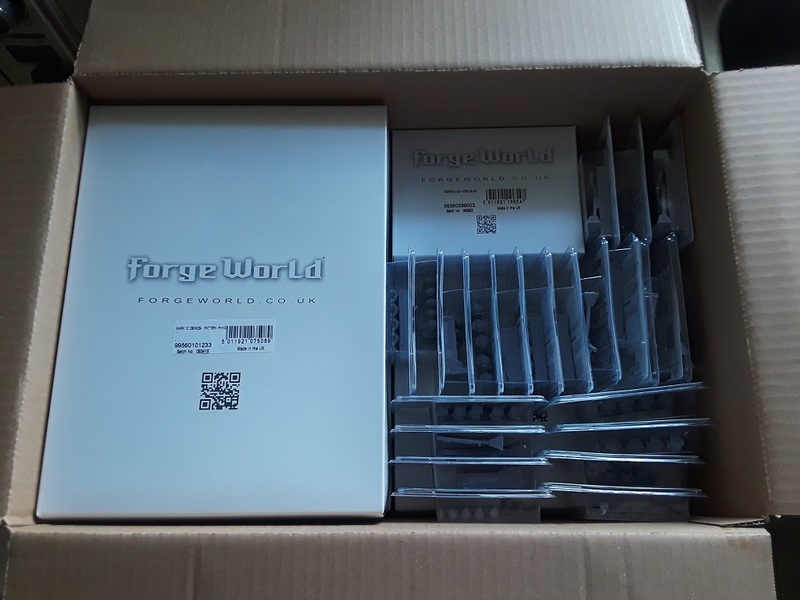 Still undecided what I'm going to fill it with, I'm hesitant to build terminators for the force, knowing that once the book drops they'll likely get a bespoke terminator unit. In the interim it'll likely sit on the sidelines, or perhaps ferry a full 20-man tac squad around. 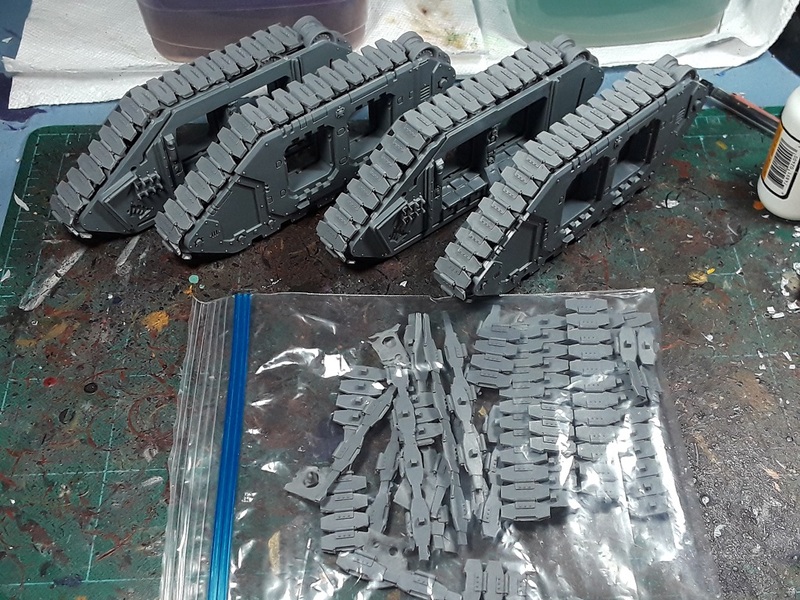 I had picked up a trio of the new wrap-around track upgrade kits form Blood and Skulls Industry, originally planning to use all three on the Sons of Horus. 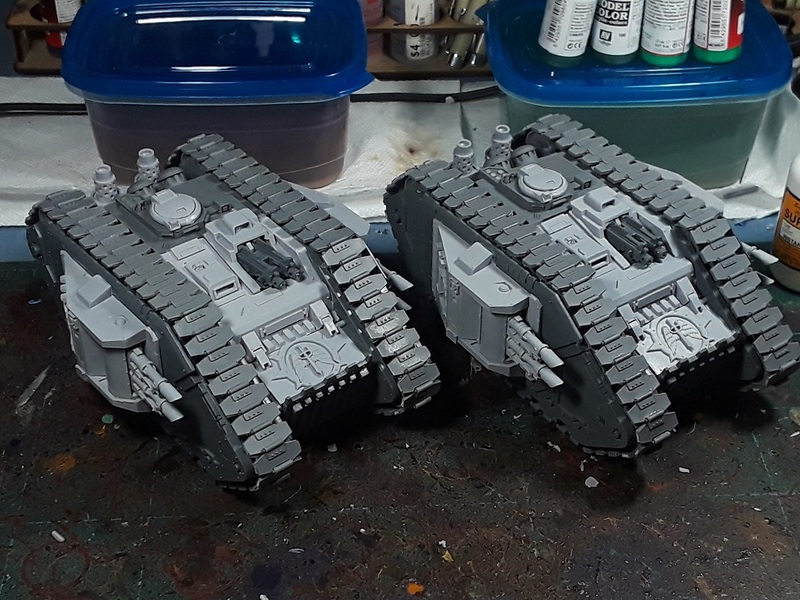 While the spiky "Oppressor" pattern treads worked well for the traitors, I thought I'd save the "Liberator" pattern sets for a future project. I had forgotten that I'd already gotten the track housings about 3/4ths done when I made the call, so they were a snap to finish off! 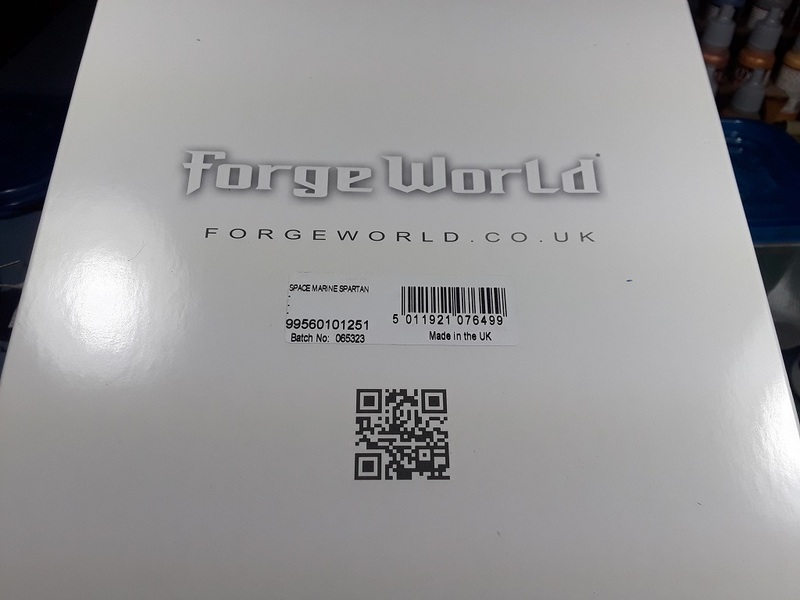 Having built one for the Sons of Horus already, I had a good idea of the challenges and pitfalls of the kit so the following two flew together! 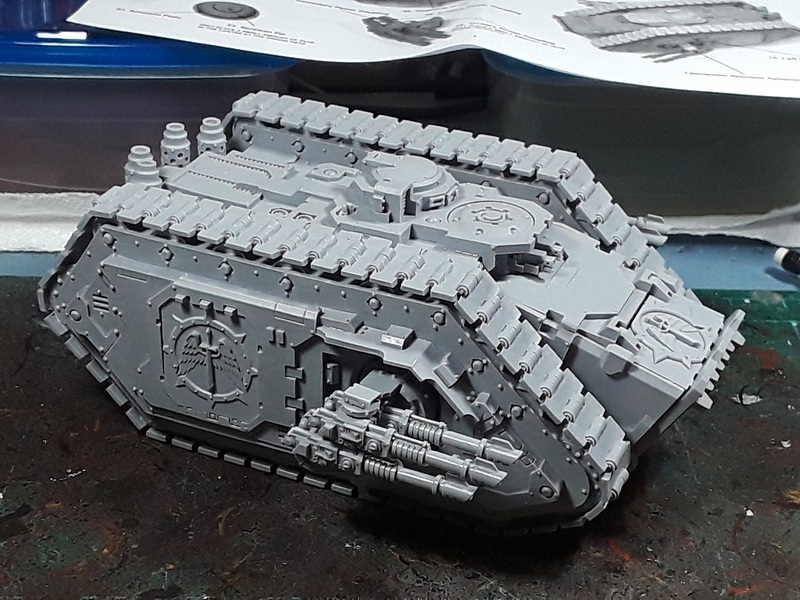 I really like the look of the Mk.IIb Land Raider, and wrap-around treads really give it that Heresy vibe. Managed to get all of this stuff primered after work and am looking forward to getting some paint on 'em! VERY happy to see the . . . . . . . spreadsheet!! That's what we were waiting for! Excellent! Makes me want to dig my own 1st legion project out of the box. The FW bits look great on your tacticals. I look forward to see your paint scheme/choices for inspiration. Best of luck with the project! Brilliant and rather envious of your Spartan, mine was track hell for days on end during Spartember last year! Indeed - I did not enjoy the old one I'd built at all. This one was surprisingly simple to assemble, other than some massive casting gates that needed careful removal. And in the space of a week, Joel has yet again, put together and mostly painted a whole new army.... Yeesh. Wow. Good work there M7, and up to your usual speedy standard. Thanks man! 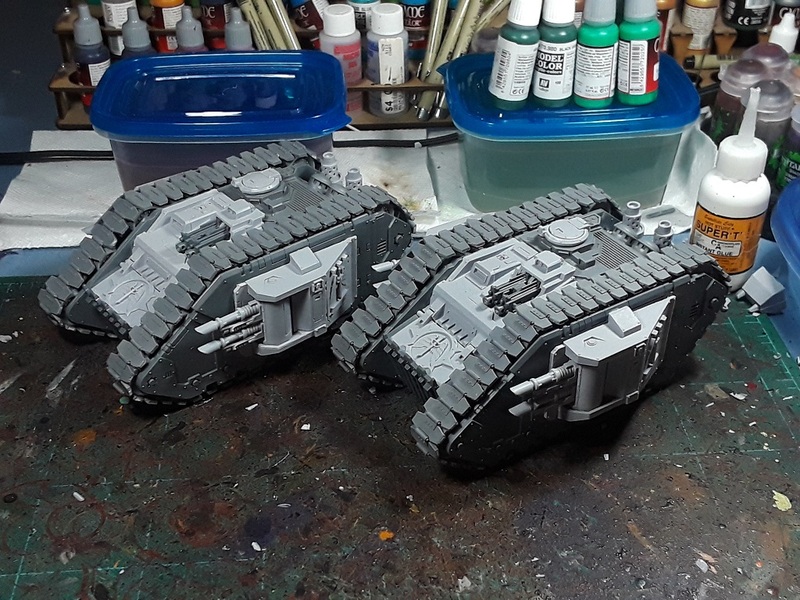 Looking forward to getting some paint on 'em! Wow all that stuff to paint! I don’t envy you, but gonna look great. Aye, I badly broke one of my recent rules - A little intimidating looking at the pile of models to paint. Best get crackin'!